Maybe the concept of work no longer has the same appeal as it did when you walked down the aisle to accept that ribbon glad diploma. You may still dream of the day when you land the job of your dreams or can start your own business where the thought of work still excites you. You may not do it for the paycheck or the corner office or even for all of the perks that come with the job. You may be into it for the creative process, the idea you can still create something and that you can and will make a meaningful contribution. 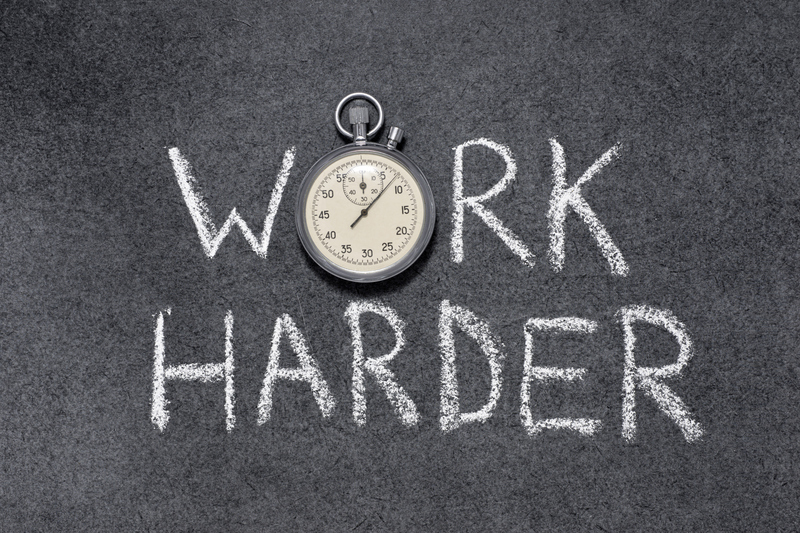 Whether you feel you are in the right place in your career or you feel you are still struggling to get ahead, you never imagined for a minute that you might actually have to work harder to get less than you thought? No one in school ever mentioned that! The work landscape continues to evolve, jobs may ebb and flow and the opportunities are abundant no matter where you turn. Still, why are there times when you feel that no matter how hard you work, or give it your all and you think that someone is paying attention to your efforts, but in actuality you are not getting any further than you did when you accepted your first job. 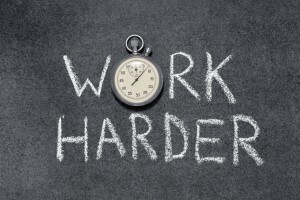 You maybe working harder for less money, for less recognition or for less upward mobility but yet, you continue to work-after all what choice do you have? If you have been in your career and excelled in your profession for awhile there is a time where you may need to step back in order to move forward. I know it seems counter intuitive but just like you have to pay more in taxes when you earn more in income, there is always a consequence to every action, good, bad or indifferent. Not to make matters worse but working harder for less may be the new American dream. Lowering your level of expectation means you have to realize there is a reason you are where you are in your life and sometimes you need to make a choice or pick another path of action in order to get ahead. I’m not meaning to discourage or tell you to forget about going after what you want but knowing that you may need to put a bit more into it if you really, really, really want what you are after is the real truth. The good news is there is no limit to the opportunities that are available to you but the reality is you are not alone in your quest for the dream job. Line up with all the others pursuing the same dreams. What does that mean to you? It means you better get going in the race to get ahead and understand that you do have to work harder for the privilege of just being able to stand in line to submit your resume or land an interview let alone get a job offer. That is the true prize. Not everyone is made of hard work, sweat and tears. Most give up before they even try but if you are not a quitter and you are passionate and believe in yourself there are no limits to where you can go from here no matter how little you get paid. We all started somewhere the ones that are further ahead in their careers are the ones who did not give up when the going got tough. Which type are you?